We all know that we should eat right to protect our bodies from scary health problems like heart disease, diabetes, and obesity. But what you may not know is that following a healthy diet can directly affect your oral health, too. 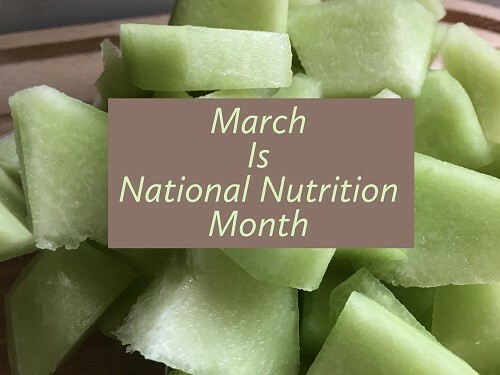 As we celebrate National Nutrition Month, our dental office in Madison wants to help bring awareness to what proper nutrition involves and how what you choose to put in your body can protect your smile. There’s a good reason your Madison dentist has a bad taste in their mouth when it comes to sugar. Whenever we eat foods with a high sugar content, our tooth enamel is at risk. These sugars essentially activate plaque acids in the mouth which, in turn, attack enamel. As the enamel erodes away, its protective properties are diminished and teeth are exposed to bacteria. Without enamel, teeth are more susceptible to cavities and tooth sensitivity. This month, and every month, we encourage you to plan meals and be aware of what you put in your body for increased overall and oral health. At our Madison dental office, we’re here to help. Schedule your appointment today.